Greyhound is an intercity bus service that transports passengers to destinations across North America and Mexico. They’re a subsidiary of the British transportation company FirstGroup and is headquartered in Dallas, Texas, US. The bus service was founded in 1914 in Hibbing, Minnesota. Its founders Carl Eric Wickman, Andy Anderson, and CAA Heed used a seven-passenger car that Wickman failed to sell and transported passengers from Hibbing to Alice. From merely having a single bus and bus route, the company now has a fleet of over 1,500 vehicles, serves a network of over 3,000 destinations in the US, Canada, and even Mexico, and has approximately 7,000 loyal employees. Eligible employees have an all-inclusive benefits package that includes a health plan with dental, vision, and medical benefits, short-term disability and life insurance, paid vacation and time off, free travel plan, a continuing education program, and a 401K retirement plan. How old do you have to be to work at Greyhound? 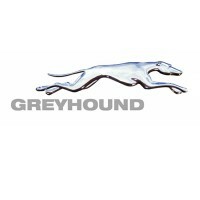 Greyhound jobs are open to individuals who are 18 years of age or older. The minimum age requirement for bus drivers is 22 years old. Having a high school diploma or equivalent GED is preferred. Driver: A driver ensures the safe and efficient transport of passengers and packages daily. They perform pre/post trip vehicle inspections and notify dispatch of route changes, accidents, passenger incidents, or vehicular malfunctions. Applicants should be 22 years of age or older, have a valid license, and a clean driving record. Ticket Agent: Ticket agents handle passengers ticketing transactions including informing them of current fares, bus routes, and schedules, preparing required travel documents, and processing payments. They ensure that baggage is properly tagged and loaded into the bus. They also use the PA system to announce current information to customers. Baggage Agent: Baggage agents ensure the safe and accurate loading/unloading of passenger baggage. They carefully arrange baggage to maximize available space and prevent item damage. They quickly unload and sort checked baggage for prompt delivery to customers. They help keep the baggage sorting area clean and orderly. Bus Cleaner: A bus cleaner is primarily responsible to clean fleet buses. They clean bus exteriors with pressure washers and cleaning agents. They also clean the bus interior and lavatory by sweeping, waxing, and dumping (waste tanks). They restock the bus with supplies such as toilet paper, garbage bags, and hand sanitizers. Janitor: Janitors are responsible for maintaining the cleanliness of the terminal. They clean indoor spaces including waiting areas, restrooms, and the lounge. They also keep the outside ground clean and orderly by pulling weeds, mowing grass, and sweeping sidewalks and parking areas. Food Service Station Attendant: Attendants take customer orders and handle the cash register. They process all payment transactions and balance receipts by the end of their shift. They offer value add-ons, new products, and other promotional items to customers. They help prepare food items, maintain food service inventory, and keep the area clean and orderly. Service Lane Technician: Technicians provide preventive maintenance and minor repairs on operational buses with diesel engines and coach related components. They utilize mechanical and computerized systems to diagnose vehicle systems and perform repairs if needed. Technicians follow the company’s safety policies and ensure that the workplace is kept safe and clean. Package Express Agent: This agent assists customers with their shipping concerns by informing them, either in person or via telephone, regarding products, prices, regulations, and transit times. They prepare the required shipping documents and labels and process payment transactions. A year of customer service or cash handling experience is required. Fleet Planner: Fleet planners identify equipment needs and priorities based on historical and forecasted data. They conduct regular equipment inventory checks and make real-time adjustments as needed. They establish relationships with pool and rental carriers, secure rentals, and manage invoices. They also handle permits, licenses, and any documentation required. Corporate Dispatchers: They assign buses and manpower to efficiently manage scheduled operations. They liaise with drivers, field operations, field management, and corporate management to ensure efficient delivery of service. They assist in resolving dispatch-related conflicts and issues, escalating unresolved issues to the Dispatch Manager with a recommended course of action. To get a job with the company, you can fill out an application form at your local Greyhound or apply online at their Careers page. Hiring officers recommend taking the online route for easier completion and faster processing. Online applications are processed via the Careers page. All applicants need to create a hiring profile and register. They can register manually by filling up the registration form or by connecting a LinkedIn, Google+, or Facebook account. After agreeing to the terms, you’ll be directed to the application form. It’s recommended to attach your latest resume and other relevant documents with your application to give a better view of your skills and competencies. Make sure that your resume is fully updated and accurately reflects your qualifications. Discrepancies between your application form and resume will reflect poorly on you, and may even lead to rejection. You should hear back from the company within a few days to update you on your application. When invited for an interview, be sure to prepare by choosing an appropriate attire and coming up with answers to common interview questions. Customer safety is at the center of the company’s culture. Aside from providing transport solutions to the community, the company prioritizes their customer’s comfort and keeps safety in the forefront. They follow a stringent safety protocol to assure this. The bus line partnered with Google Maps to allow customers to plan trips more efficiently. Customers may now effortlessly check bus schedules, as well as personalize their travel by exploring possible routes and learning alternate modes of transport. Greyhound Express is a bus service with fast routes. Except for a quick break in between, there are no stops from Point A to Point B. This company is known for offering the latest onboard amenities at very modest prices. The Home Free Program is an initiative with the National Runaway Safeline that gives runaways a ticket back home to their families or legal guardians. If the child is younger than 15, their guardians are provided a ticket instead. 1 How old do you have to be to work at Greyhound?